Venturing on a home improvement project represents a considerable investment in time and money. Naturally, you’ll want to make sure that you get the best materials and service out there. This begins with choosing the right contractor. With the sheer number of roofing companies in Northern Virginia, it’s best to go for one that is accredited by industry-leading organizations like Peak Roofing Contractors. Let us discuss what these certifications mean and how they can benefit your project. Compliance with BBB’s high standards indicates that a business displays exceptional competence and character. Accredited companies are recognized for these three traits: reliability, honesty, and professionalism. Their ratings register from F to A , and Peak Roofing Contractors is proud to share that we have their highest rating. This is the result of our great service and our years of experience. Owning this title means that we are committed to delivering excellent Manassas roofing services. This proves that we comply with GAF’s stringent standards on quality roofing. In fact, only 3% of all roofing companies across the country have been qualified for this title. 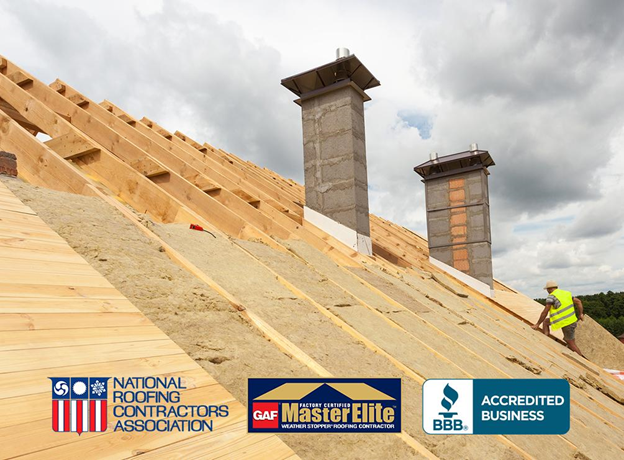 As a GAF Master Elite contractor, we offer the brand’s superior line of roof materials that can provide your home with lasting beauty and protection. We also constantly undergo extensive training in order to be able to apply the latest technology and installation methods. That’s why you can trust us to make a seamless and hassle-free job of your roof project. This organization’s aim is to improve the roofing industry and ensure great customer service. As one of the few NRCA-certified contractors, we have extensive knowledge of recent roofing developments. We are also fully licensed and insured for you and your property’s protection. Entrust your roofing in Manassas to a company recognized by the largest and most trusted organizations. This way, you’ll have the assurance that you’ll get excellent treatment throughout your project. Peak Roofing Contractors also holds certifications for our window, gutters, and siding replacement services. Call us today to request a free estimate or to schedule a consultation.